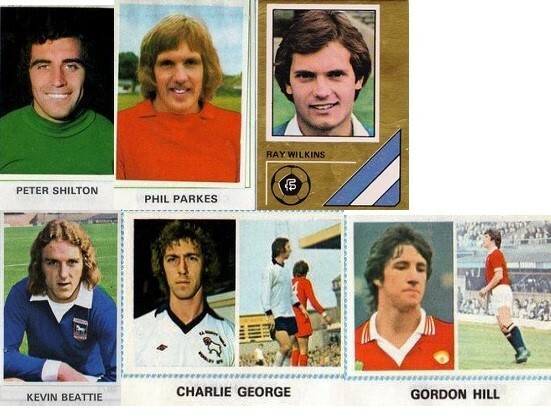 The 1976 edition of the British Home Championship took place in May 1976 in just 9 days. Perhaps this was in anticipation of upcoming Internationals later in the month. Wales, as the only Home Nation still in the Euros, had their second leg quarterfinal vs. Yugoslavia scheduled near the end of this month. 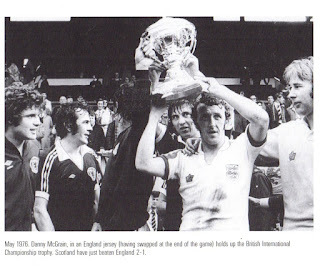 England, for their part, were scheduled to participate in the USA Bicentennial Cup after the Home Championship. In fact, these matches were extra preparation on their way to America. However, all four Nations were looking ahead to the World Cup qualifiers due to start in the Fall. The Home Championship kicked off on May 6th at Glasgow, with Scotland hosting Wales. Scotland turned out to be the most in-form of the four squads and it was confirmed from their first match as they thoroughly outplayed Wales. Despite their dominance it took Scotland most of the first half to break the deadlock. 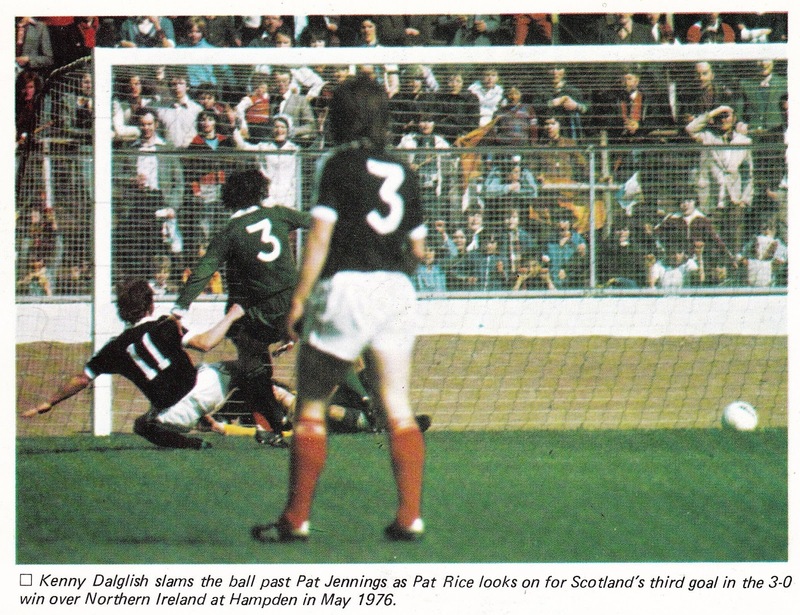 William Pettigrew scored Scotland’s first in the 38th minute after being sent clear by Gemmill. For Scotland, Donald Masson was having an impressive International debut. 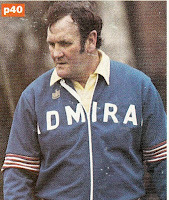 He set up Scotland’s second just before halftime, after his free kick was headed in by Rioch. Wales pulled a goal back through a penalty kick by Arfon Griffiths in the 61st minute. Eddie Gray scored from another header in the 69th minute to complete Scotland’s win (3-1). Two days later (May 8th), Wales hosted England at Cardiff. The sides had met in a friendly at Wrexham just over a month earlier (March 24th, Wales 1-England 2). Wales fielded a virtually different side from their previous match from Scotland. 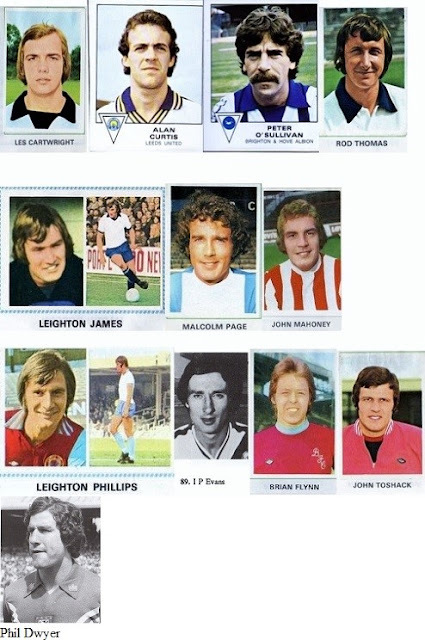 Only Yorath, Curtis and Leighton James retained their places. 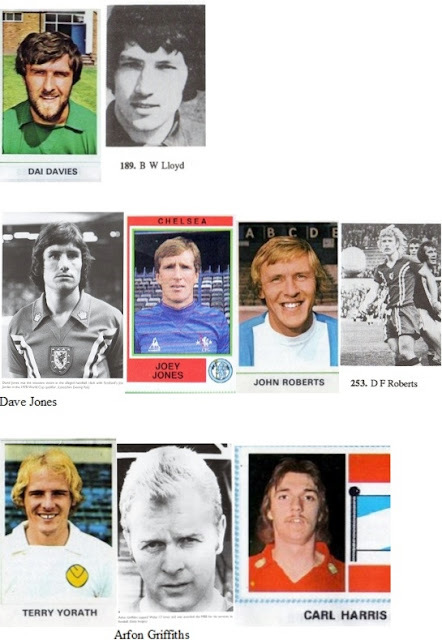 Lloyd, David Jones, Joe Jones, David Roberts, John Roberts, Arfon Griffiths, Carl Harris and O'Sullivan were all out of the starting lineup. 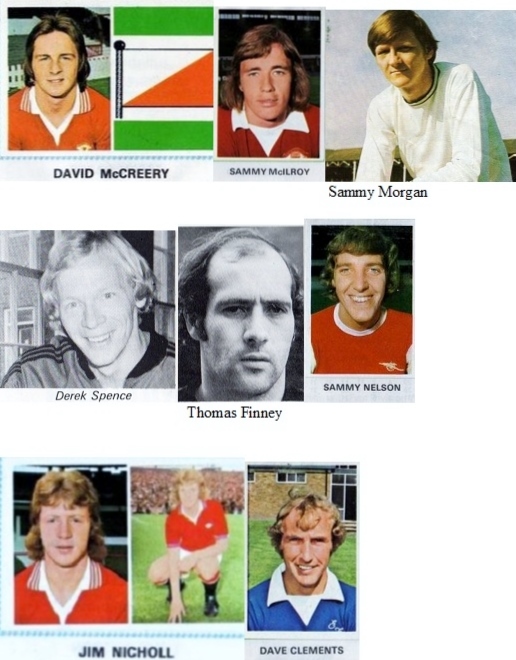 They were replaced with Dai Davies, Rod Thomas, Malcolm Page, John Mahoney, Leighton Phillips, Ian Evans and Brian Flynn. 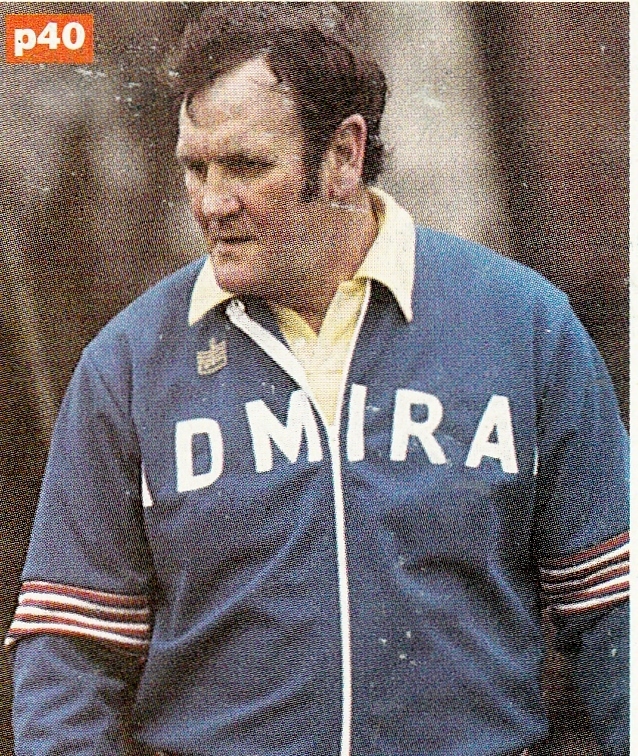 In an experimental English side, Don Revie handed debuts to Brian Greenhoff, Stuart Pearson and Tony Towers. In contrast to their match vs. Scotland, Wales dominated in the first half and Ray Clememce was forced to make many saves to keep England in the match. The Welsh still dominated as the second half commenced but just could not find a way through. It was much against the run of play when England scored. Peter Taylor scored with a low shot to deceive Dai Davies and much of the Welsh defense, who were expecting a pass. Afterwards, Wales continued to dominate with no success upfront. 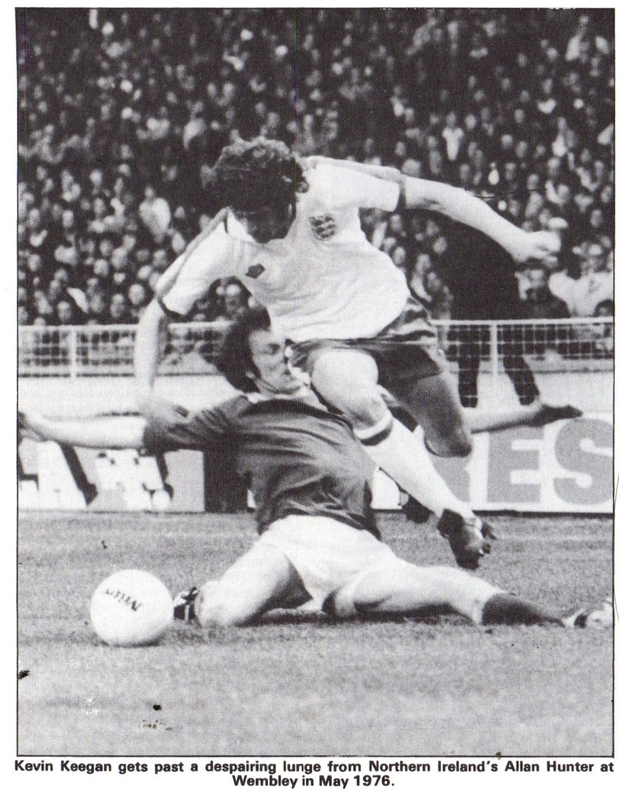 Kevin Keegan had been excellent for England, but to most observers England had been fortunate to win a match that they should have lost. On the same day, Scotland hosted Northern Ireland at Glasgow. 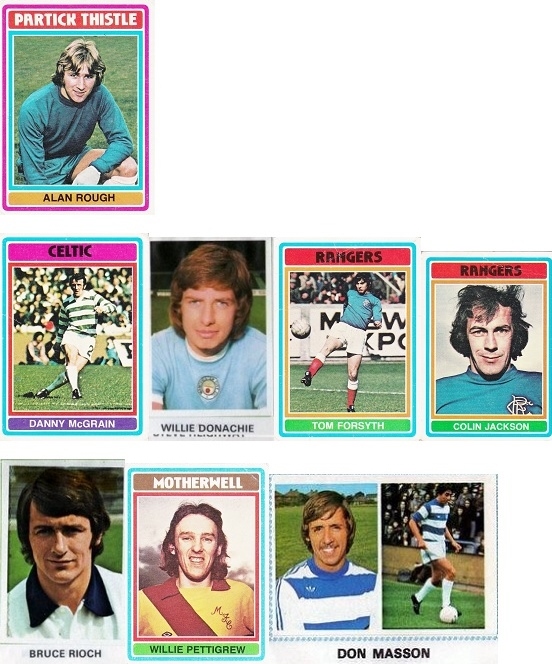 For Scotland, the only change was the inclusion of Kenny Dalglish ahead of Eddie Gray. It was once again a dominating performance from the home side. 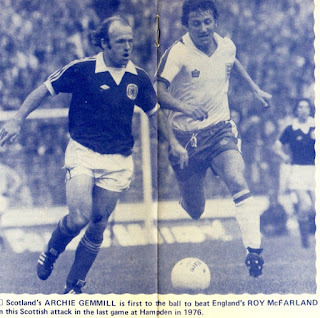 Scotland opened the scoring in the 23rd minute through Archie Gemmill and never looked back. They did miss a penalty kick though, awarded after Joe Jordan was fouled in the box by Jennings. Bruce Rioch’s spot attempt struck the post. The Scottish scored from the rebound but the Referee invalidated it for Offside. Donald Masson scored Scotland’s second goal in his second cap just after halftime. 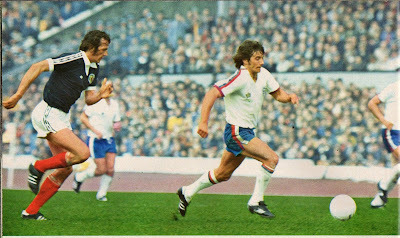 Masson was also instrumental in Scotland’s third by Dalglish in the 52nd minute for a comprehensive (3-0) win. On May 11th, England hosted Northern Ireland at Wembley. For the Northern Irish, Pat Jennings was about to set a new record by earning his 60th cap. 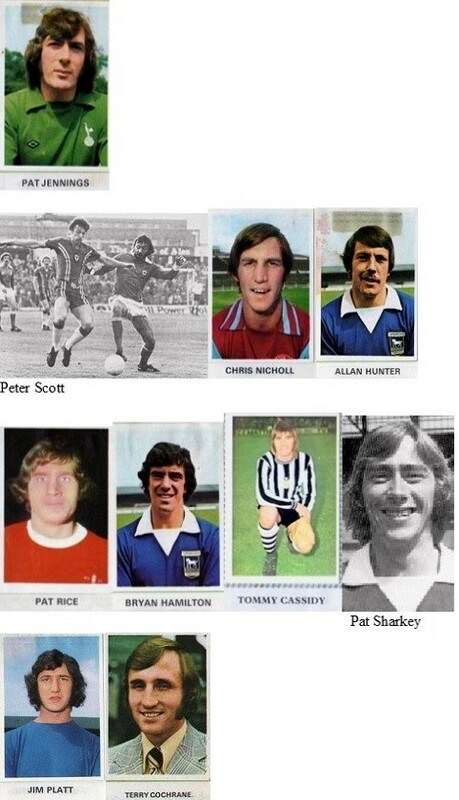 From their previous match, the Irish left out Scott, Sharkey, Morgan and Finney. 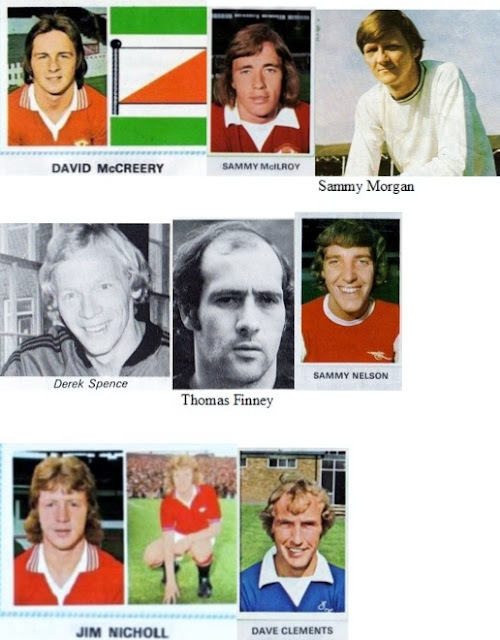 In their places came Sammy Nelson, Clements, Spence and McCreery. For the English, Todd replaced Clement in defense, while Channon replaced Towers up front. England struggled at first to find any pattern and cohesion in their play. However, after scoring first the floodgates opened and they controlled the match afterwards. Gerry Francis scored England’s first in the 35th minute benefiting from a link up from Mills and Channon. Just a minute later, England doubled the lead. 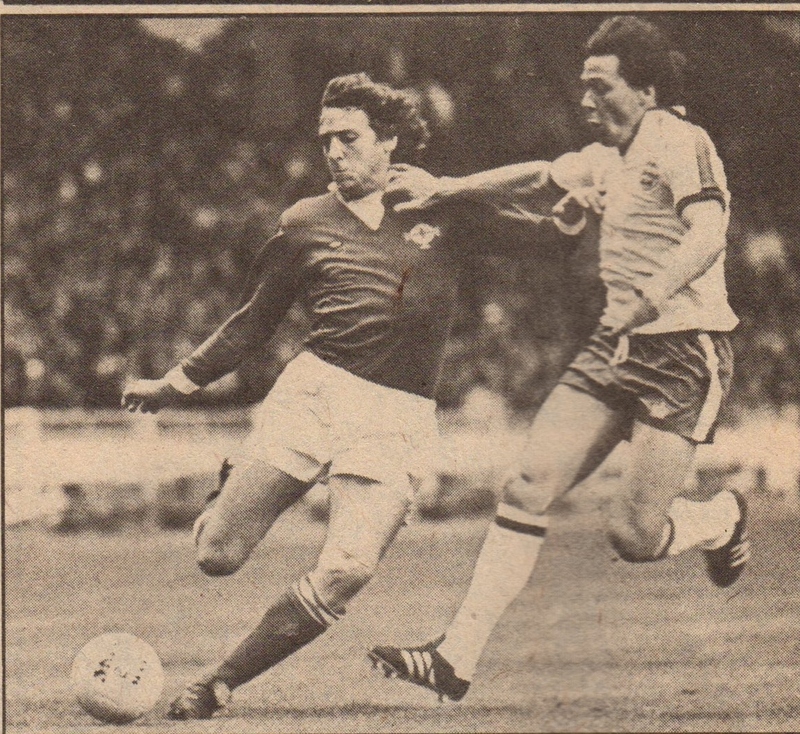 Mike Channon was fouled by Cassidy in the box and Channon himself scored from the spot. 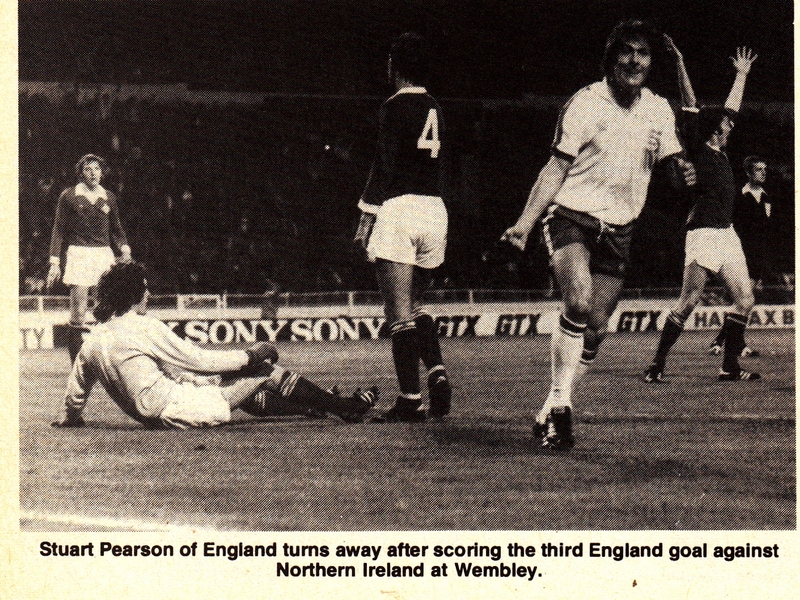 In the 60th minute, Pearson scored England’s third picking up his own rebounded shot. In the 77th minute, Channon scored his second and England’s fourth by also scoring from a rebounded shot to give England a (4-0) win. On May 14th, Wales hosted Northern Ireland at Swansea fro their respective last matches. For the Welsh, Rod Thomas and John Toshack were out to be replaced in the lineup with David Roberts and Arfon Griffiths. 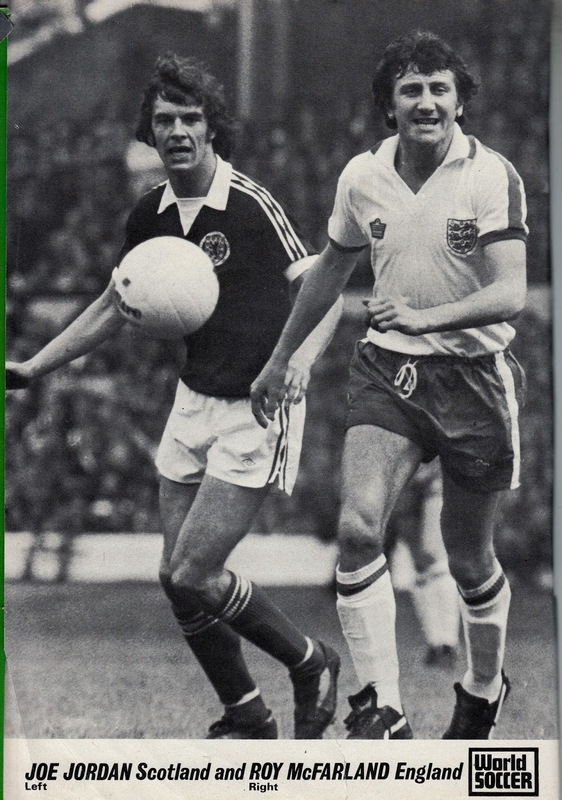 Northern Ireland only replaced Sammy Nelson with Peter Scott. 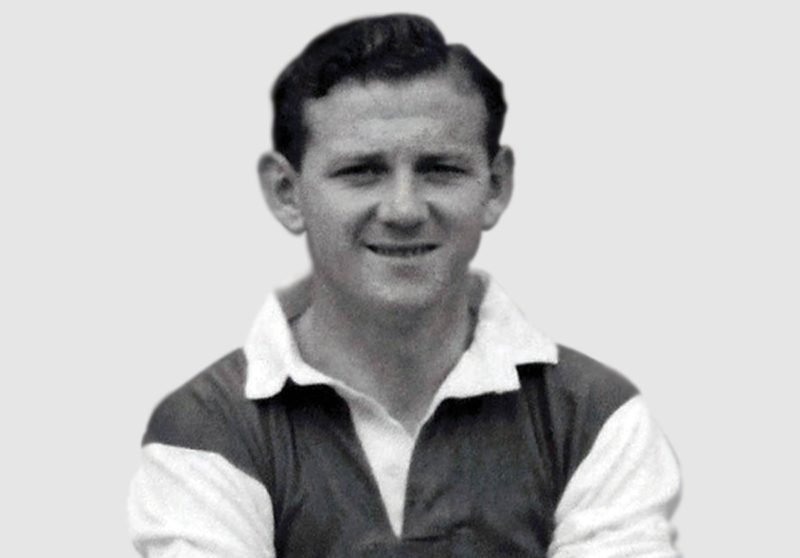 The match was settled in the 30th minute with Leighton James scoring the Wales’ winner for a minimum win (1-0). Northern Ireland lost all its matches without scoring a single goal. About a month later, on June 16th, 1976, Danny Blanchflower would be appointed as Northern Ireland’s part time National Team Manager. On May 15th, the main encounter took place with Scotland hosting England at Glasgow. For the hosts, William Pettigrew was out of the lineup with Eddie Gray replacing him. 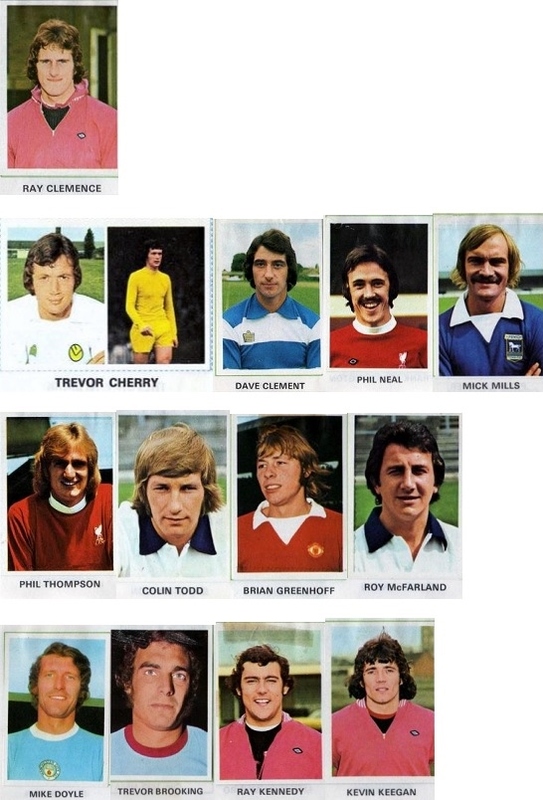 For the English, Brian Greenhoff was out with Roy McFarland replacing him in defense. England started the match better and created chances. They took the lead in the 11th minute through a Channon header. Scotland soon got back into the game. Just six minutes later, in the 17th minute, Masson leveled the score by heading in from a corner. After this Scotland was in firm control of the match and dictated the play. At the stroke of halftime, Scotland had a penalty appeal denied as Dalglish was fouled by Clemence in the box. 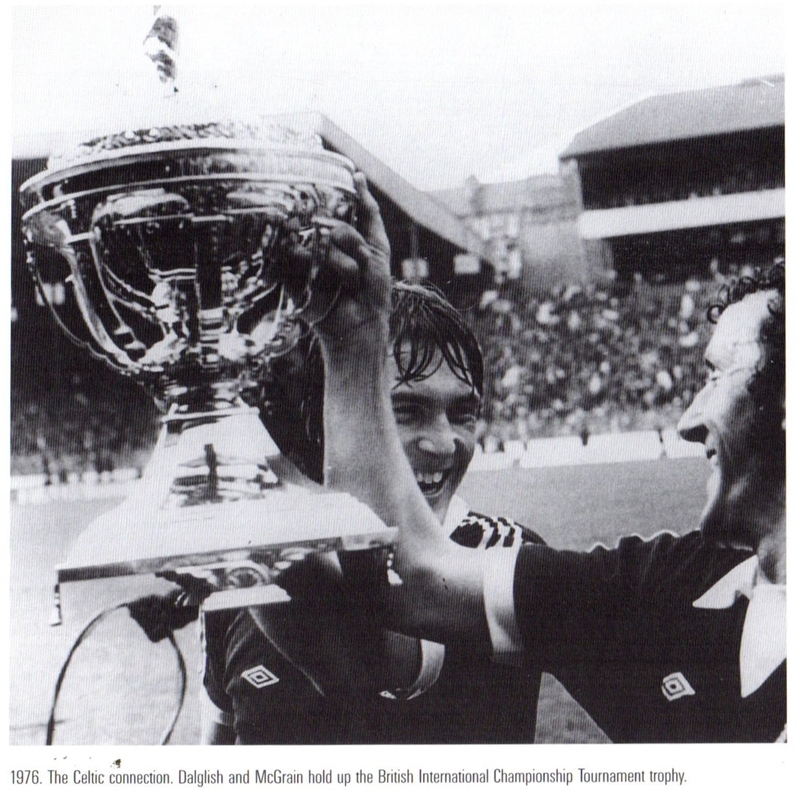 The Referee did not award the spot kick as he had already blown the halftime whistle when Dalglish was fouled. Just a few minutes after the restart, Scotland scored their winner. Dalglish’s attempt should have been saved by Clemence but went through his hands into the net for an embarrassing goal. 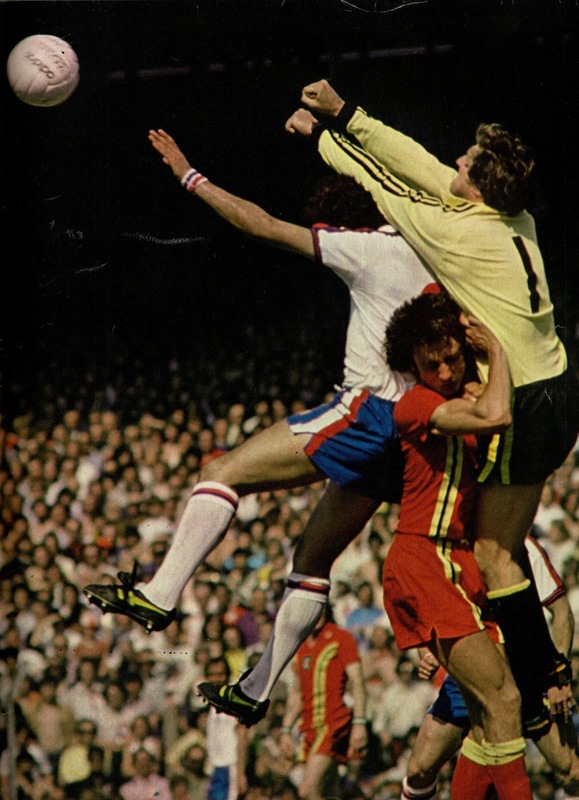 Clemence would later describe that as his worst ever moment of his International career. 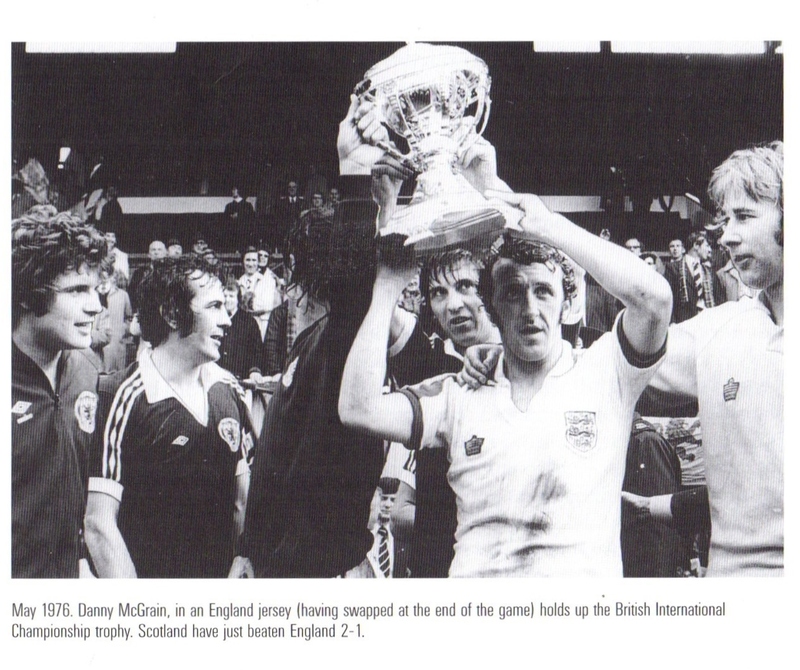 Scotland remained in control for the rest of the match and deservedly won (2-1) and in doing so won the 1976 Home Championship with a perfect record of three wins. 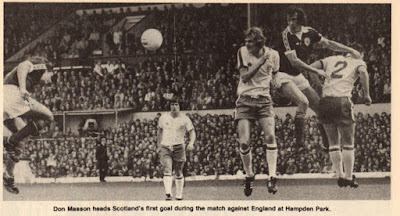 2:0 (44th minute, Scotland): Don Masson took a free kick from the right side that was headed in by Rioch. 2:1 (61st minute, Wales): Thomas Forsyth fouled Leighton James in the box. Arfon Griffiths scored from the ensuing penalty kick. 3:1 (69th minute, Scotland): Joe Jordan’s cross from the right side was headed in by Eddie Gray. 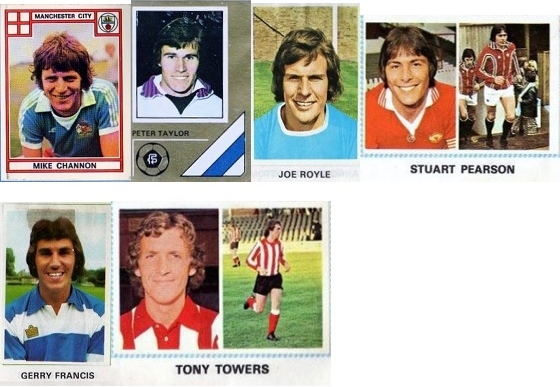 0:1 (59th minute, England): Gerry Francis found Peter Taylor at edge of penalty area. His low shot went in to Dai Davies’ right side. 1:0 (23rd minute, Scotland): Bruce Rioch found Joe Jordan who went on the left side and crossed inside the box for Archie Gemmill to score. 2:0 (47th minute, Scotland): Joe Jordan on the left side passed to Dalglish who gave the ball to Masson who socred from outside of the box. 3:0 (52nd minute, Scotland): Masson sent a cross into the box, Rioch dummied and reached Dalglish who scored. Note: Scotland missed a penalty kick awarded after Joe Jordan was fouled in the box by Jennings. Rioch’s attempt struck the post and was scored on the rebound, however, the Referee ruled it out for Offside. 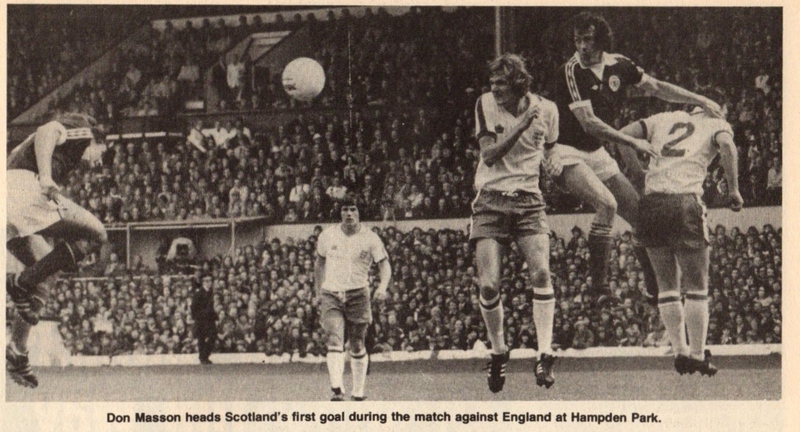 1:0 (35th minute, England): On the left side, Mick Mills passed to Channon, who backheeled to Francis for a tap in. 2:0 (36th minute, England): England were awarded their penalty kick after Channon was fouled by Cassidy in the box. Channon scored from the ensuing penalty kick. 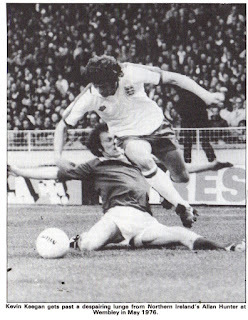 3:0 (60th minute, England): Ray Kennedy passed to Keegan on the left side. 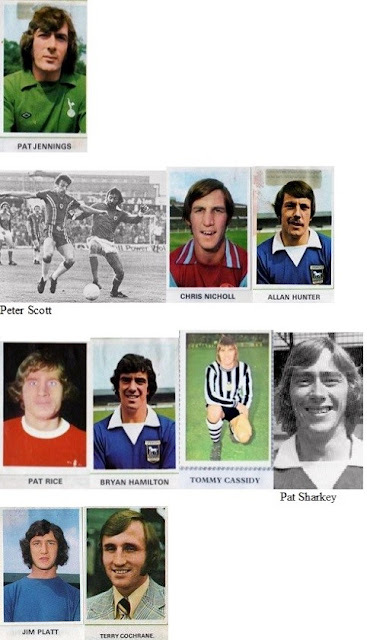 Keegan crossed in the box, Pearson headed it across, Kennedy trapped and volleyed. Jennings parried the shot but Pearson picked up the rebound. 4:0 (77th minute, England): Todd crossed from right side to Keegan. His attempt was blocked by a defender as he was about to shoot. Channon picked up the rebound and scored. 1:0 (30th minute, Wales): Brian Flynn sent a cross into the box that led confusion in the Irish defense. 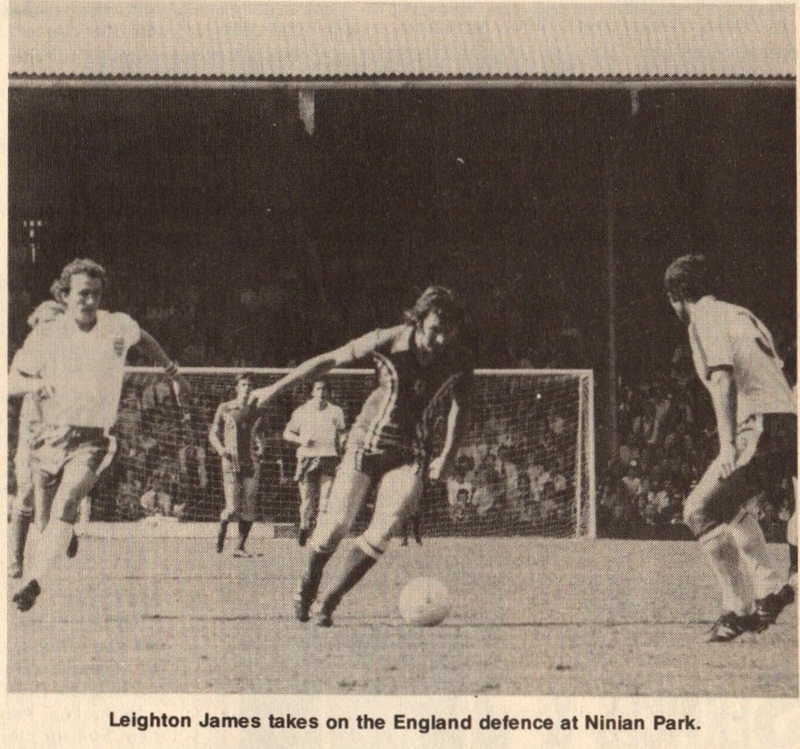 Jennings was forced to come out to handle it and Leighton James lobbed ball over him into the net. 0:1 (11th minute, England): From the left side, McFarlnad crossed into the box and Channon headed in. 1:1 (17th minute, Scotland): A corner from the left side from Gray was headed in by Masson. 2:1 (49th minute, Scotland): Jordan crossed from left side for Dalglish. His shot went through the hands of Clemence into the net. Wizards and Bravehearts, A History of the Scottish National Side, Author: David Potter, 2004.